Chin surgery, which is also known as mentoplasty, provides balance to your facial features by enhancing a so-called “weak” chin or reducing an extended chin. 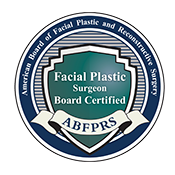 Board-certified Denver plastic surgeon Dr. Brent Smith specializes in facial cosmetic surgery, including highly individualized chin augmentation and reduction procedures. To learn more about mentoplasty or to schedule a consultation and discuss your aesthetic goals, please call Smith Cosmetic Surgery at 303-741-2211. Ideal candidates for chin surgery are those whose facial features are fully developed and who are unhappy with the appearance of their chin and facial profile. Patients should be nonsmokers in good general health and have realistic expectations about the surgery. Dr. Smith will review the benefits and limitations of chin surgery with you during your personal consultation. Incisions for chin surgery are typically made just under the chin or inside the mouth along the boundary of the lower gums and lower lip. These locations provide good access to reform the bone structure and help conceal residual scars. Chin surgery is often recommended as a complement to a rhinoplasty, or nose surgery. Changes to the nose can affect the balance of the entire face, and the size of the chin can either magnify or minimize the appearance of the nose. Undergoing a mentoplasty in conjunction with nose surgery can ensure your facial features have a natural-looking, harmonious balance. 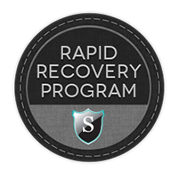 Everyone’s healing process is different, and Dr. Smith will discuss your recovery guidelines with you in detail prior to your surgery. That said, most patients will need to wear a dressing on the chin for a few days following surgery and avoid strenuous exercise for two or three weeks; Dr. Smith will clear you for increased activity as you heal. Dietary restrictions may also be necessary for a few days after your mentoplasty, which can make chewing temporarily uncomfortable. Lingering swelling will fade over a span of about four to six weeks and the full results of your chin surgery will become evident. For more information about chin surgery, or to schedule a mentoplasty consultation, please contact Smith Cosmetic Surgery today. Nationally recognized for his expertise in facial cosmetic surgery, Dr. Smith welcomes patients from the greater Denver area and across the country. DR. SMITH IS AVAILABLE TO ANSWER ALL OF YOUR QUESTIONS AND CONCERNS ABOUT CHIN SURGERY AND CHIN IMPLANTS.